FALCAO - Chelsea "open" talks with Monaco to sign the striker this summer!! According to various reports and after Radamel Falcao issued a come and get me plea to Chelsea earlier in the week by offering to significantly lower his wage demands, Chelsea have opened talks with Monaco over a move this summer. I asked the question on here earlier in the week and there is a divided opinion about the striker after what has been a disastrous season in Manchester. In light of this recent development, I am asking the question again to YOU, the Chelsea fan reading this for your own opinion on Falcao. Would you sign him? As always, people will have their own opinions and all I can do here is give you my own and we cannot forget the player that blew us apart in the Super Cup Final a couple of seasons ago. In addition, you have to look at his overall record from Porto to Atletico and it's clear he is a natural goalscorer. What we also have to consider again is the serious knee injury that kept him out of last summers World Cup and has obviously had an effect on him this year at United. As with any player and especially a striker, you need games to get your match fitness and sharpness back. Those games have to be consistent, one after the other because if you find yourself playing one game and missing the next throughout the course of a season, you are never going to get yourself confidence and into the rhythm you need. Would Falcao be offered that at Chelsea? I am not so sure. Diego Costa is our number one and yes I understand that he has his injury problems with his hamstrings and it is a concern, but when fit I cannot see Falcao being selected ahead of him especially in the Premier League. Over here, you need a player like Costa who as we know is also a natural goalscorer, has immense skill and ability but most importantly of all, can mix things up with defenders by bullying them about, holding the ball up and generally doing the dirty side of things. There is a danger with Falcao that he would turn out like Fernando Torres at Chelsea but I would like to state now on record that it would never be the case because our playing style has evolved since Torres. Torres sign for Chelsea at a time when the team was built around Didier Drogba. Our playing style as a whole was perfectly suited for Drogba and we knew we just had to play it up to him or put a decent cross into the box and he would feed off of that all day long. In came Torres who likes to run in behind and play off he shoulder of the last defender and he struggled because he wasn't of the same mould as Drogba. Torres was never the player you could lump the ball up to and ask him to hold it up or bully defenders now was he! Now at Chelsea we play a different way and someone like Torres would thrive in our side. Eden Hazard, Willian and Cesc Fabregas all love to play those quick one-twos and look for a killer pass in on goal and Falcao would benefit from that all day long! 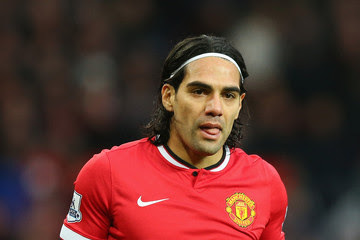 Is Falcao a risk worth taking this summer? You decide!